Zork is considered one of the earliest interactive fiction computer titles, with roots drawn from the original genre game, Colossal Cave Adventure. According to Wikipedia, the first version of Zork was written in 1977–1979 using the MDL programming language on a DEC PDP-10 computer. The authors – Tim Anderson, Marc Blank, Bruce Daniels, and Dave Lebling – were all members of MIT’s Dynamic Modeling Group. 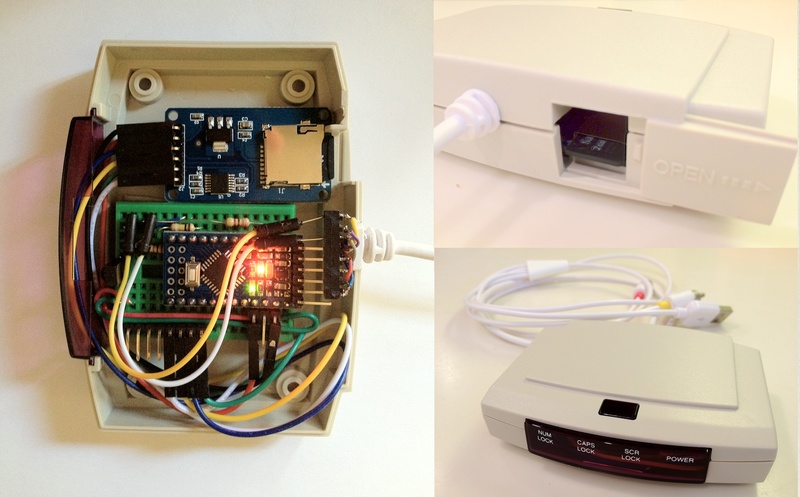 Recently, an experienced modder by the name of Rossum decided to rekindle fond memories of long nights playing Zork on his Atari 800 by building the aptly named Zorkduino. Atmel-based Arduino Uno, Pro, or Pro Mini. WebTV or MsnTV IR Keyboard or PS2. IR receiver TSOP38238,TSOP4838 or equivalent. So, how does the retro gaming platform work? Well, as HackADay’s Brian Benchoff reports, Rossum capitalizes on the onboard hardware of the Arduino. “Video is generated by using SPI mode on a UART at top speed – 8 MHz. This just shifts out pixels from the video buffer on an SD card,” writes Benchoff. As a bonus, Rossum includes an number of additional games on the SD card, including Leather Goddesses of Phobos, along with the ability to run Hitchhiker’s Guide to the Galaxy. Interested in learning more about the Zorkduino? You can check out Rossum’s original blog post on the subject here and the project’s official HackADay page here. 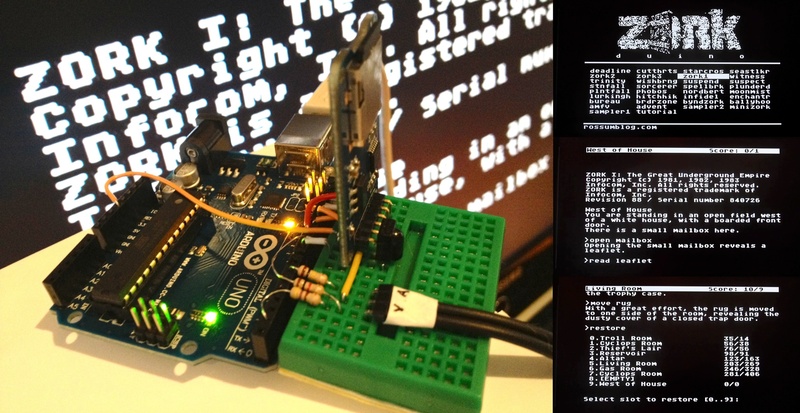 This entry was posted in Design Tips & Tricks, Maker Movement and tagged Adafruit, Atmel, Brian Benchof, HackADay, MIT, Pro, Rossum, tag1, Uno, Zork, Zorkduino on May 1, 2014 by The Atmel Team.